The other interesting thing on the back of the board, right next to the wireless radio chip, is something that looks like an unpopulated UFL antenna, labelled J13 on the silk screen. You can just seen the board’s antenna in the image above on the flip side of the board directly below the unpopulated contacts. While we’re not going to get any support from the Foundation — it would break the terms of their FCC certification to document it — I’m looking forward to the first hack to add a cantenna to the Raspberry Pi either by desoldering the on-board antenna, or making use of those unpopulated pads on the back of the board. Cheap long range Wi-Fi is just a Pringle’s can away. Does it sound plausible that a long-range antenna might be connected to the J13 pads shown in the above image? Are similar kludges available on other small single-board computers, and if so what kind of performance might be expected? Yes, it can be done, but beware of violating FCC. There are two mostly unrelated issues. One is FCC certification as discussed above, the other is WiFi certification. FCC certification is concerned with radiated RF energy across broad spectrums, mostly to protect other consumer electronic equipment like TV's radios, etc, from unwanted interference. FCC certification is required for devices sold in production (there is an exemption for experimental and prototype equipment as long as it's not so bad that it messes up your neighbor's TV reception) and anything that has any kind of clock or frequency generator higher frequency than 10,000 Hz has to be tested. So it's not even so much the radio as the processor clock etc that might radiate. However is adding an external antenna to the WiFi radio causes the device to exceed allowable RF energy in some of the bands that are tested, it would be a problem if you want to sell the device this way. 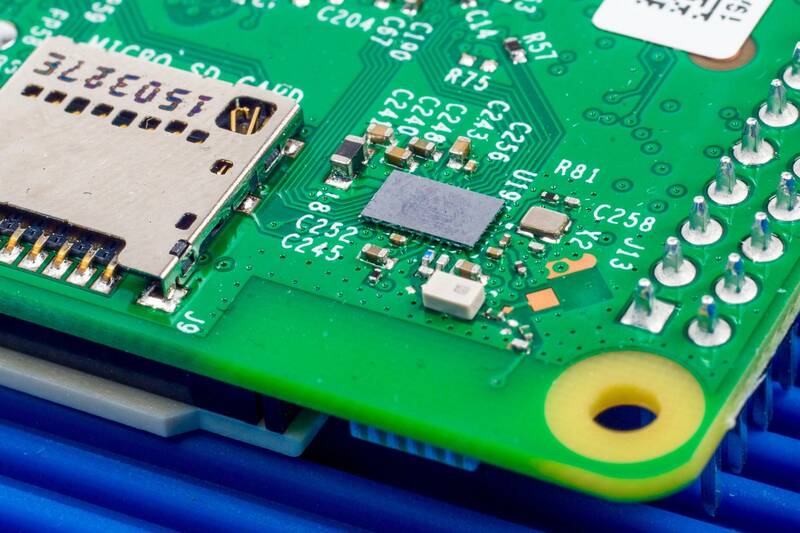 The R-Pi foundation would not want to get involved in this kind of activity since they DO sell the board and if they help by providing info about modifications, and those modified systems cause problems, it could come back to them. The second issue is related to the WiFi regulating council (not sure of the official name) which is more concerned with interoperability between available WiFi devices. Any device sold with the "WiFi" logo, has gotten a blessing from this organization and participated in extensive "plugfests" and interoperability testing to ensure that the device plays well with others, including operating at power levels that don't drown out other devices. Again, the RaspbPi folks have gotten these certifications as well, and by connecting different configurations of antennas etc, these things could be violated. Or you might just put too much strain on the RF output amplifier and burn it out. In either case I can certainly understand why the organization would not want to do anything to cause them some liability for hobbyinsts messing around. All that being said, as has been mentioned above, if you are just building a on-off version for your own interest, there is no real risk other than you might have to spend another $36 when you fry your board. The presence of this connector didn't prevent this BPi from getting its FCC certification. As an owner of a BPi (not this model exactly, but equipped with onboard WiFi as well) I can say that the performance of the antenna shipped with the board is decent, but not stellar. I have also tried out this antenna which improves the range by a few meters. To sum up, don't expect drastic improvements from passive antennas, and in case of the RPi 3 be ready to get worse performance, since the schematic was optimized for the onboard antenna and may not match the impedance of UFL antennas and cables. Not the answer you're looking for? 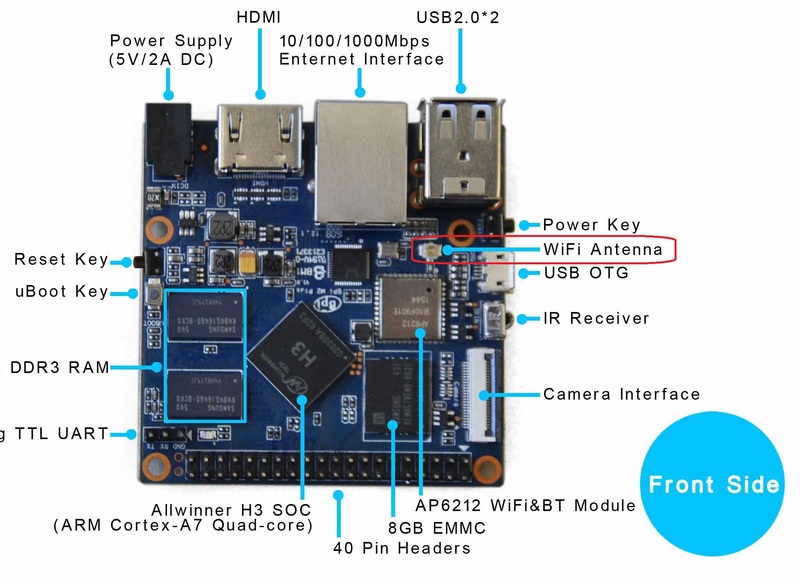 Browse other questions tagged wifi radio pi-3 or ask your own question. How can I receive sensor data from my raspberry pi when it is far away from any wifi? Does Pi3 Wi-Fi support 5 GHz and does it need an extra antenna? How to add a hostname on my apache server? How to add AP details without wifi?